While the Blade franchise wasn’t a total loss it did start to lose its steam near the end. The third film was the beginning of the end and the subpar TV show seemed to be the stake in the chest that put the Daywalker down for the count. But then Marvel got the rights back in 2013 and it seemed like the character might get another shot at slaying vampires. There were rumblings about another movie or a TV show, mostly coming from the man who played Blade himself, Wesley Snipes. But now it seems like Marvel Studios is looking to move forward with a Blade-centric project. 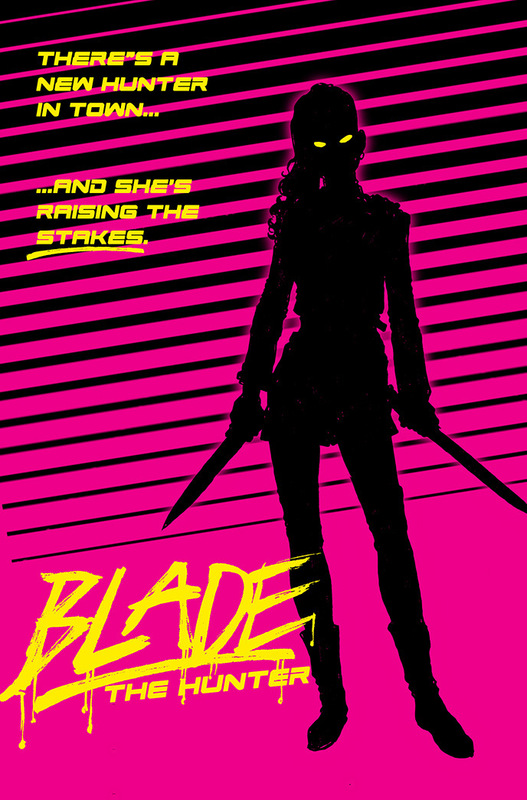 With the “All-New, All-Different Marvel” spinning out of the Secret Wars mega event, it was announced that a new Blade comic series starring his daughter, Fallon Grey. That comic was supposed to drop in October, but the powers-that-be have pushed it back, in order to make sure they get the character right. Bleeding Cool is reporting that the reason they want to take their time with the character is that they have a film starring Fallon Grey in the works. Just because Blade’s daughter will be the focus of the film doesn’t mean we should count out the original Daywalker. The character is set to play a major role in the upcoming comic book, so that might mean there’s a role for him in the film. He could be the new Whistler to the next generation of vampire slayer. This is all speculation at the moment. Marvel has their Phase Three plans locked up pretty tight right now, which means that the earliest we could get a Blade film would be in 2020. Unless the studio wants to make an out-of-continuity film and not connect it to the rest of the Marvel Cinematic Universe…which is highly unlikely. I’d put my money on a Netflix series before anything else. They aren’t as beholden to plans depending on what gets hot (remember how the streaming network fast-tracked season 2 of Daredevil before they even had final plans for Luke Cage and Iron Fist) and a thirteen episode series could help explore the seedy supernatural underbelly of the MCU and help further deepen the mythology that will undoubtedly get started with Doctor Strange. This entry was posted in Breaking News, Film, Marvel and tagged Blade, Marvel, MCU. Bookmark the permalink.